Here's a Meidiland sister that prefers cold climates. In growth habit she's more of a Groundcover than some of the family. 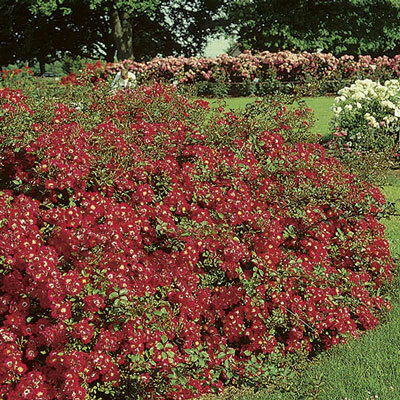 But 'Red' is the tops when it comes to hardiness and bright color. Very glossy green leaves. Proven hardy cold climate performer.